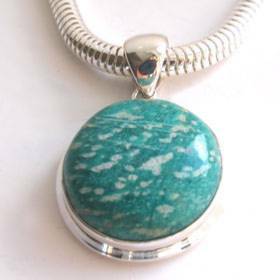 Round amazonite pendant set into sterling silver. 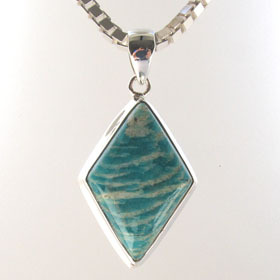 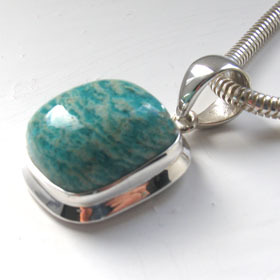 This is a substantial and gorgeous amazonite pendant. Amazonite is a rich turquoise coloured stone with cream dappling and this gemstone displays wonderful dappling across the bright turquoise background. 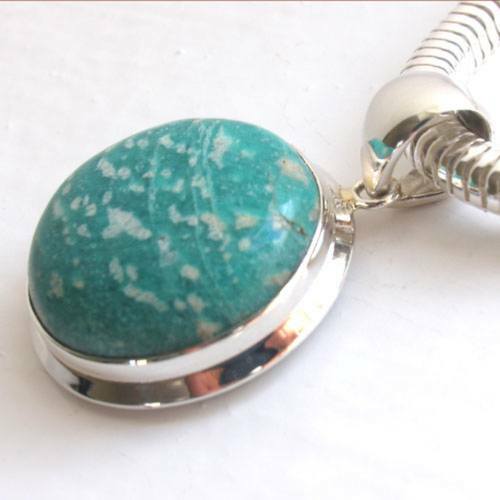 It's a vitreous gemstone and has a crystalline opaque texture. 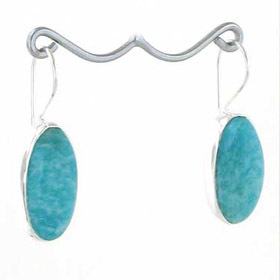 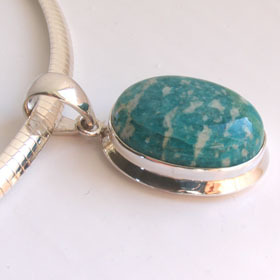 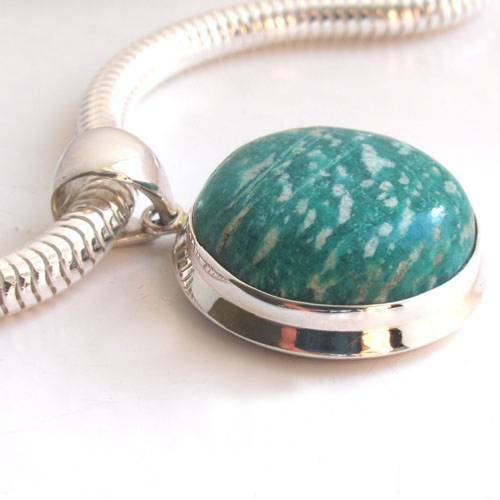 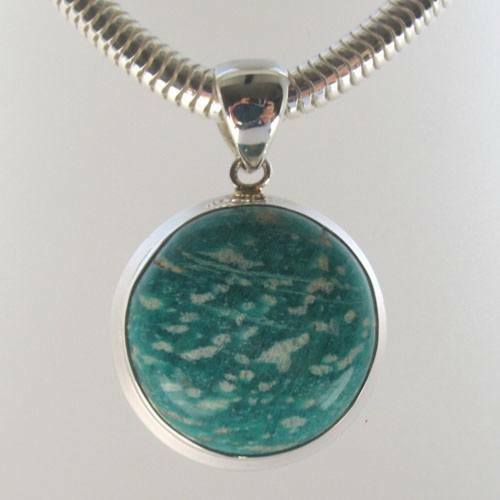 The amazonite is gently domed and set into a sterling silver frame. 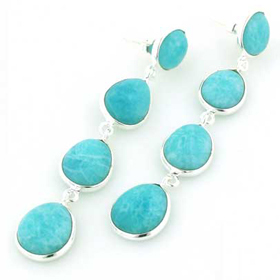 For more information about amazonite see About Gemstones. 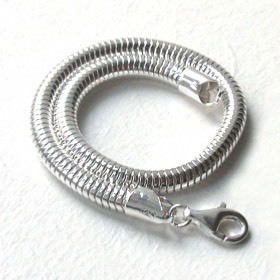 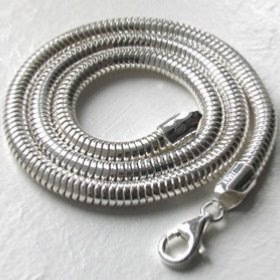 The chain featured with the pendant is our popular silver snake chain, width 5mm. 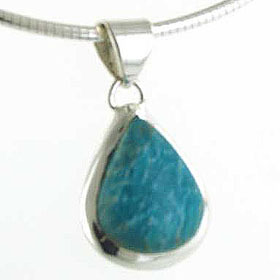 For a wide choice of silver chains to choose from, see our Italian sterling silver chains.